Oops! No, the FAC blog did not turn French, we just got a little too excited about the upcoming Wine Festival of Colorado Springs. This year's theme is Wines of France, and we're going on a virtual tour of the major wine producing regions of France. Scroll down to see a complete listing of events showcasing the tastes of French wine. 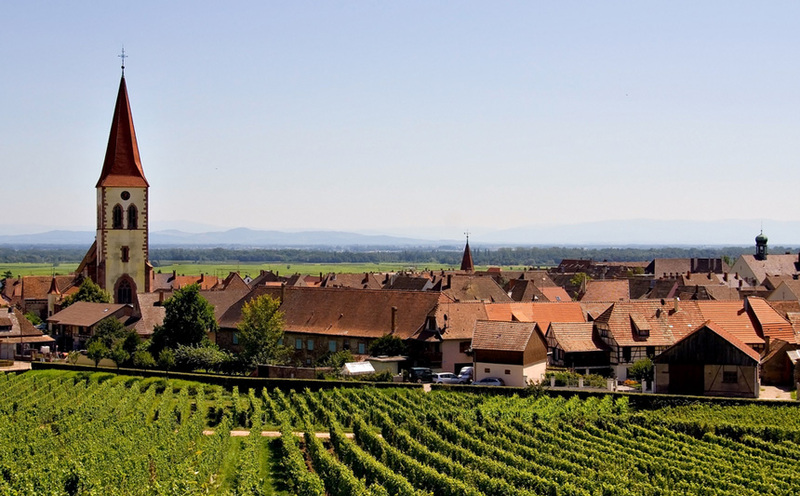 We're starting at Alsace, a region in the northeast of France, on the German border. medieval building still-standing (image source). 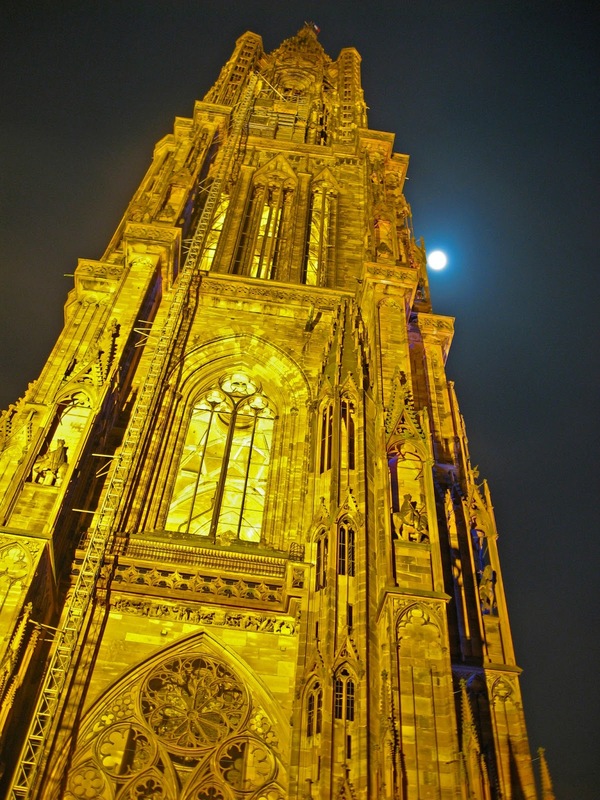 Strasbourg is a historic city, serving as the official seat of the European Union. The city center is a UNESCO Heritage site, with origins dating back to the Neolithic period. Cold winters, but it makes for great skiing on the Vosges range. The summer and autumn seasons are very nice, where temperatures can reach the high 80s, and the sun shines bright. 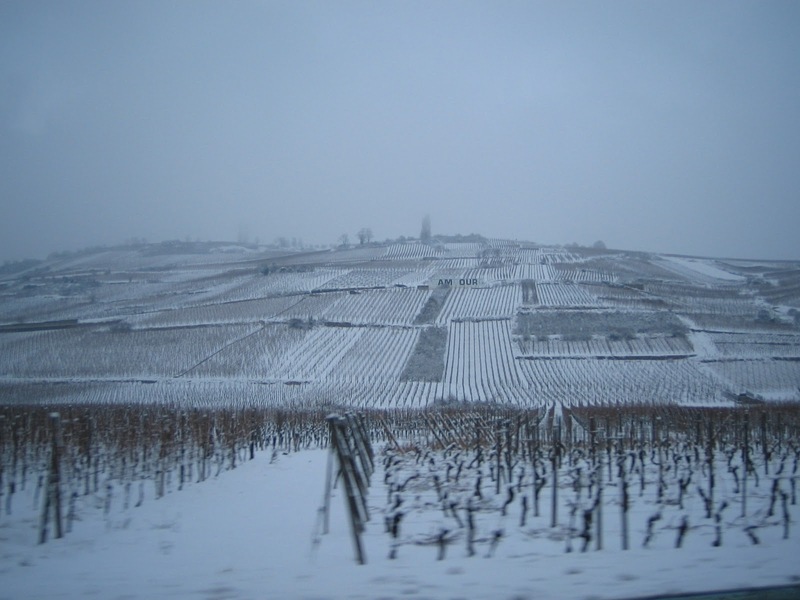 Because the Alsace is a mountainous region, it is one of the driest of all the French wine growing regions, with only about 20 inches of rainfall a year. The Vosges block rain from the west, allowing grapes to ripen on the vine during the long, dry growing season. Vineyards on the foothills also produce great yet different tasting wines, highlighting the importance of terroir and its effect on taste. 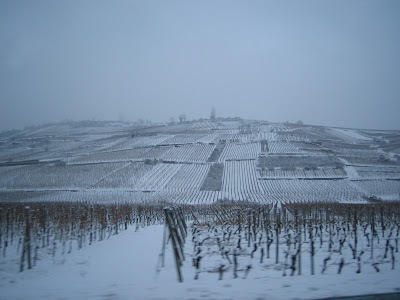 There are 51 Grand-Cru vineyards in Alsace. Grand-cru is a regional classification that refers to the vineyard itself and its high potential. It is a controlled term in France, but not in the US. 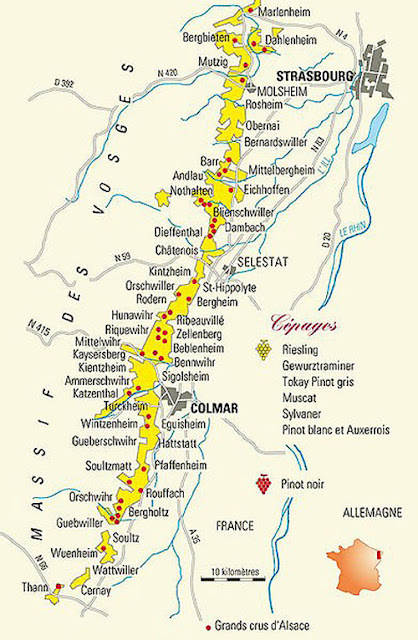 There are dedicated Alsace wine routes, sort of a pilgrimage for the wine lover which guide you along this longitudinally narrow region's most notable vineyards. A map of the grand crus wineries (Allemagne is French for Germany) (image source). 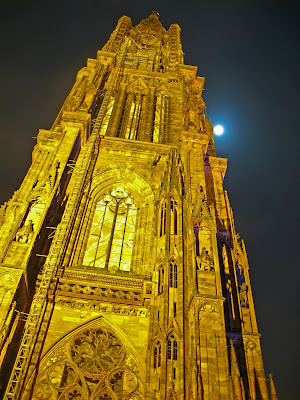 Alsace is most well-known for its white wines, and it produces more German-influenced whites such as Gewurztraminer (this is how the French say it), Muscat or Tokay-Pinot Gris, but these grapes also produce wonderful Rieslings. Regional blended whites are called Edelzwicker. Gewurztraminer (guh-VOORTS-truh-MEE-nur) is a typical Alsatian wine, and is sweeter than a typical Riesling, and is sometimes even used as a dessert wine. Gewuz means spice in German, and has fruity, spicy, and floral notes. The offered wine pairings for the March 9 seminar, The Artful Duo of French Pairing, will be in part supplied by Domaine Emile Beyer, a vineyard from the Alsatian village of Eguisheim. Domaine Emile Beyer has won Best European Gewurztraminer, Best Riesling in the World, Alsace Winemaker of the Year (2009) and the Decanter World Wine Award Asia (1st place out of 1200 entries). $75 per guest | Invite friends! Seminar will feature famed glass-maker Riedel hosting a wine and glass experience. Riedel has 250 years of glass-making expertise, making the finest goblets, flutes and receptacles for wine. Participants will taste how dramatically different the same wine tastes from different glasses and how it tastes best from a glass specifically designed for the wine. Each attendee will receive four wine samples and a set of four Riedel Vinum XL wine glasses, a $138 value! French Wine, But What Cheese? $45 per guest | Invite friends! French wine & cheese — one of the simplest, yet most refined gourmet pleasures. Are there hard and fast rules? Only to pair them perfectly! Learn how the connoisseurs choose the French wine and then carefully match the French cheese to accompany it. $85 per guest | Invite friends! Back by popular demand! Two acclaimed chefs will interpret the union of French food & wine, preparing a luncheon one won’t soon forget! Our guest chefs are John Broening, executive chef of Denver's Spuntino; and Soa Davies, last year’s Wine Festival star and French haute cuisine expert from New York. This magical evening begins with a five-course, world-class gourmet dinner, each course paired with the elegant wines of our distinguished guests. Things get even more interesting when our auctioneer takes the stage to lead you through the bidding of rare and one-of-a-kind collectible wine and wine related lifestyle packages.